Who will be the LAST RUNNER STANDING? The Last Runner Standing is a unique event for runners of all abilities, but only the strongest among them will be the LAST RUNNER STANDING. The race will be begin at 10:00 a.m. on Saturday June 8 and each runner will have exactly one hour to complete the 4.2 mile loop. If a runner fails to return within the hour, they are eliminated from the race. Runners can complete the course at whatever pace they choose, but they MUST finish the race and be ready to start the next race within 60 minutes. A new 4.2 mile race will begin every hour on the hour (10:00 a.m., 11:00 a.m., 12:00 p.m. and so on…) until only one runner is left standing. If a runner fails to make it to the start line at the top of the hour, that runner is eliminated. This race may not favor the speedster, but the runner who is slow and steady. WHO will be the LAST RUNNER STANDING? The Course is Classic Duluth! 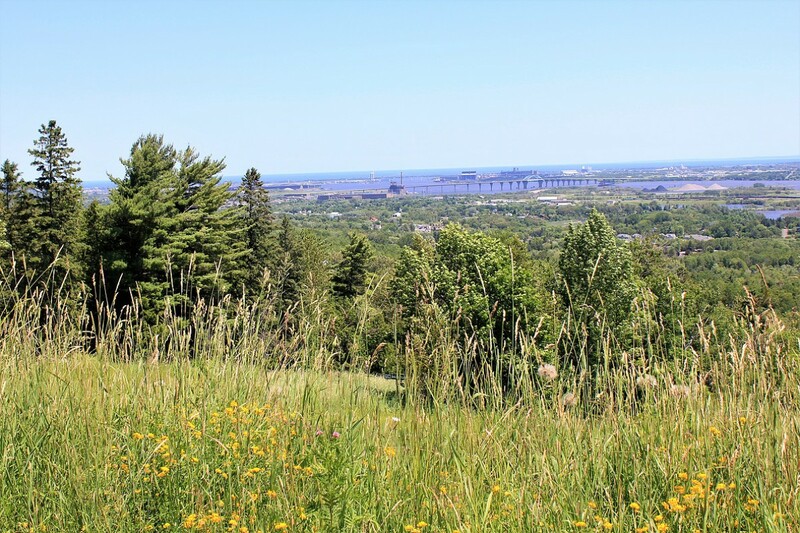 A scenic loop including very runnable stretches, singletrack climbing along lovely Kingsbury creek and its many waterfalls, and a traverse across the slope of Spirit Mountain providing tremendous views of the City of Duluth, Lake Superior and its harbor. Even though you may complete multiple 4.2 mile races, you shouldn’t tire of this scenic course. While you may not end up the LAST RUNNER STANDING, unique awards will be presented to runners for the number of races they complete. Every runner will receive a race t-shirt. Can you be one of the select few to complete 100 miles on this scenic, challenging course? How many races can YOU complete before you can continue no longer? The race itself will continue as long as it takes to determine the LAST RUNNER STANDING. The race headquarters tent will provide typical ultra snacks and drinks and warm food and soup as the day turns to evening. Along with race results, headquarters will provide a chance to mingle and share stories from the trail with your running friends and also a chance to catch up on rest between races. Runners will have access to aid after each 4.2 mile race. The LAST RUNNER STANDING provides a great opportunity to challenge yourself in a unique event unlike others you may have participated in before. It's also a great opportunity to get in a long training run with support, cover a marathon or 50 mile or even, if you have what it takes.....be the LAST RUNNER STANDING.